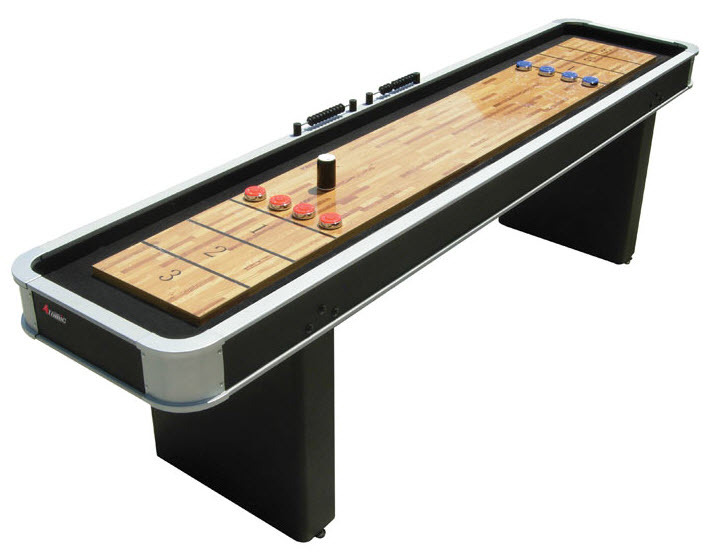 The 9' Astro Platinum Shuffleboard Table, will be a fun game for all ages. Included with this table are a set of 8 pucks, 4 red, 4 blue, and 1 can of powder. Easy set up, and all accessories included means this table is ready for some serious play time!